Designing product packaging requires looking at the design through the eyes of consumers. The packaging must stand out from other similar items on the shelf and also be stackable for store displays. About 30,000 new consumer products launch each year, but 95 percent of them fail. Competing with thousands of other new products means your package design has to attract people up close and from a distance. When you’re designing your first package, keep the following tips in mind. Think about your target audience, where they shop and what interests them. In what stores and wherein those stores will the product appear? Even the location of the display makes a difference in the shape and size you should choose for your package. Before you take one action toward your product design, think about how the package will look in the store. You should also consider the type of information your buyer typically looks for when buying a product. How can you make that information easy to find on the design of the package? Festiva Watches come in some of the most interesting packaging available. 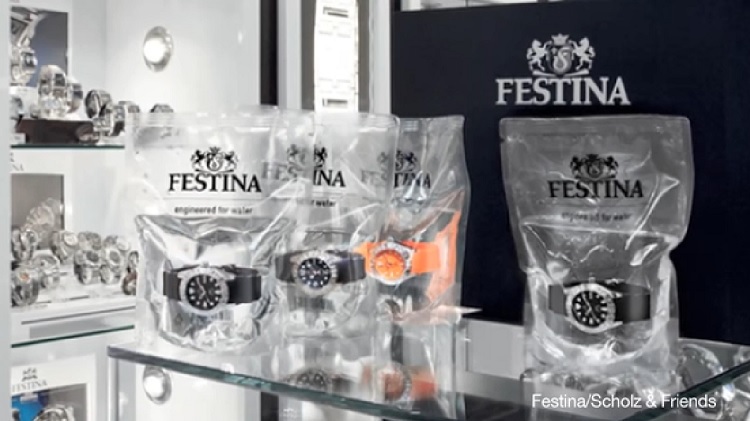 They understand that their target audience wants a watch that’s truly waterproof, so they put the watches in a clear plastic package filled with water. There’s no doubt the product is a waterproof watch with this type of packaging. Your brand likely already has a color palette. The design of any product you release should be instantly recognizable as from your brand, with similar colors and design guidelines. No matter where your brand or product appears, the color palette should be the same to increase brand recognition. At the same time, keep in mind that there’s a psychology to color choices. For example, people associate red with energy and passion, but they associate blue with authenticity. If you’re designing a package for financial software, blue is a better choice, as people see it as dependable. 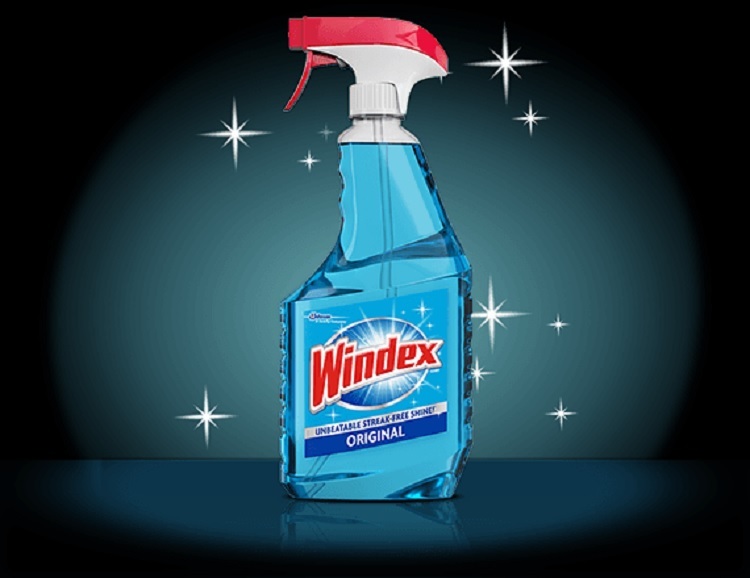 Windex does a good job of showing that their product is dependable and classic. The blue color of the liquid shows through the clear bottle, and the label is in a deep blue. However, they also throw in a splash of red with the text to grab consumer attention and create excitement. There are a lot of new innovations in product packaging design. Know what types of packaging are most familiar to your industry. Look for ways to meet expectations while still standing out from the competition. 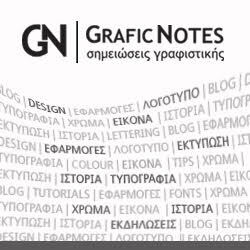 Litho or Offset: Commonly used for labels/boxes and can be matte or high gloss. Good for gradients (no banding). Flexo: Used for pouches. Less expensive but also lower print quality. Gradients do not work well. Rotogravure: Used for stand-up pouches and folded cartons. High quality but few coating options. 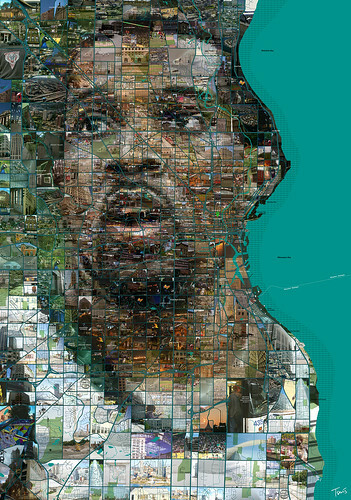 Can print photos convincingly. A drawback is large minimum print runs to make this method cost-effective. 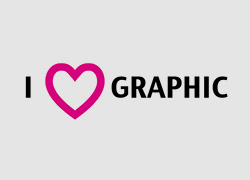 Silkscreen: Commonly used for promotional items and labels. Works well on bottles and items such as tee shirts and mugs. The cost to set up is low and works with small print runs. 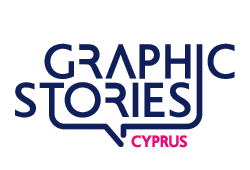 You should also chat with your printing company about special options such as foil printing and adding QR codes or interactive elements. Manos de Cacao features labels that are quite simple on the surface but have a seal in gold foil that makes them seem special and targets the higher end chocolate lovers out there. Spend time studying other products in your niche. Take notes about the product packaging. What do you love about competitors’ packaging, and what do you hate? 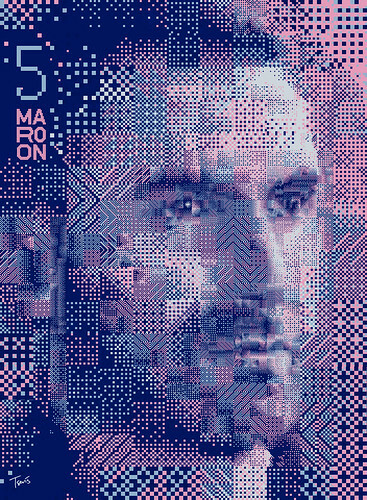 Study the shape of the product packaging design and the colors used. How will your brand stand out while still meeting expectations? You’re studying the competition not to copy them, but to differentiate yourself. If you don’t already have a brand color palette, choose colors that make sense for your brand but stand out from the competition. Your product should pop on the shelf in the middle of a sea of similar products. If you already have a color palette, think about what you can add to grab attention. 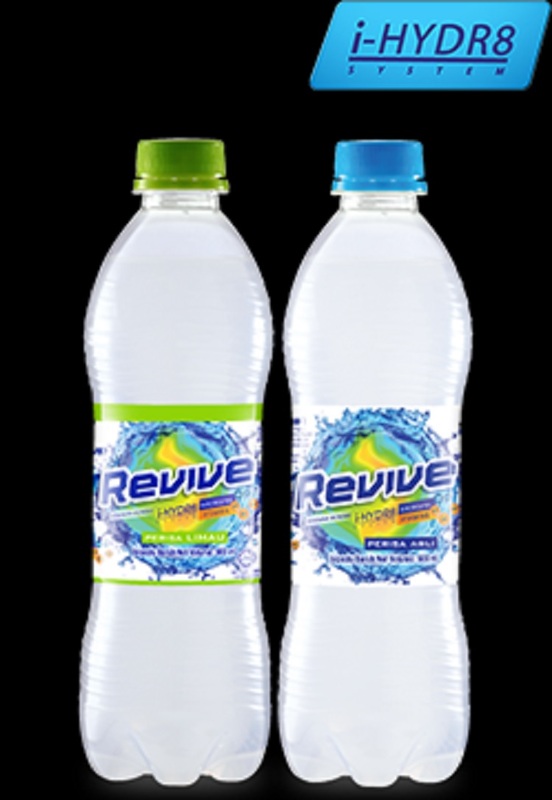 Revive Isotonic is a beverage that provides vitamins and electrolytes. There are many similar products on the market, so Revive stands out by adding a label with color gradients and vivid hues. Spend time thinking about the methods your target audience uses when buying your type of product. Do they typically go to a brick and mortar store? What type of store? Perhaps they buy online. No matter where the consumer buys your product, its overall packaging design matters. However, in a store, you’re competing with other products and must consider how the packaging looks on the shelf. 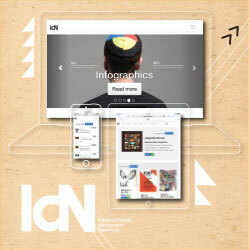 Online, you only need a design that captures your user and defines your product. 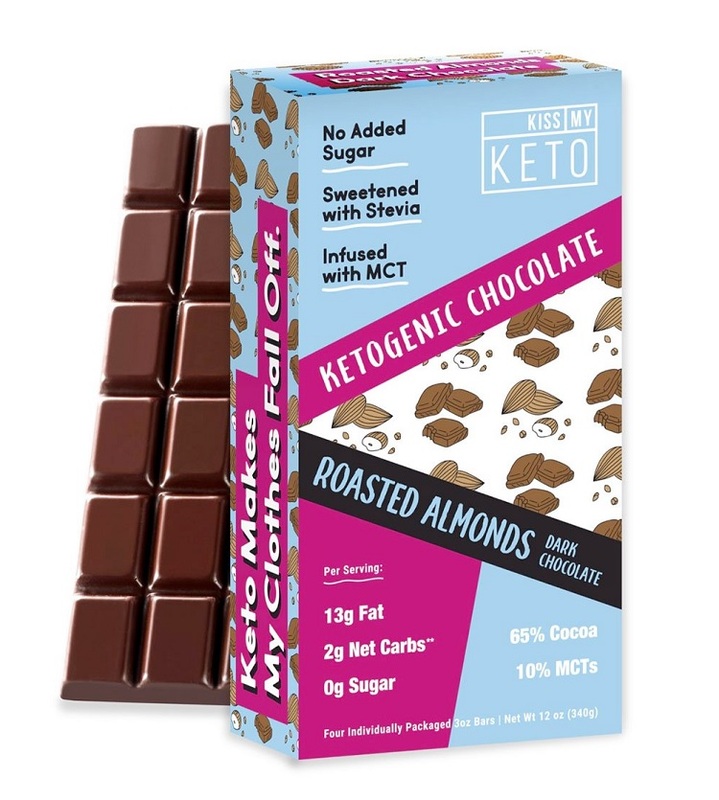 Kiss My Keto is mainly sold online, so they don’t necessarily have to compete with other chocolate bars and snacks on the shelf of a local supermarket. However, their design still stands out by using a pastel blue for their chocolate almond bar. Very few chocolate bars use this color. Should they choose to go with wide retail distribution in the future, this design will help them grab attention. The fonts you use tell the story of your brand. If you’re selling a fun, youthful product, the font personality must reflect youth and vibrancy. On the other hand, if you’re selling something with a serious nature, you’ll want to stick with a sans-serif font and keep a serious tone. Your brand should already have some design guidelines and fonts typically used for the logo and communications. Stick within the confines of these guidelines, but also choose a font that works well with the scale of the product packaging design. You can use a bit of creative license when you’re choosing colors to add to your design or adjusting the sizing of the logo. However, everything should still be recognizable as your brand to those who are already fans of your products. 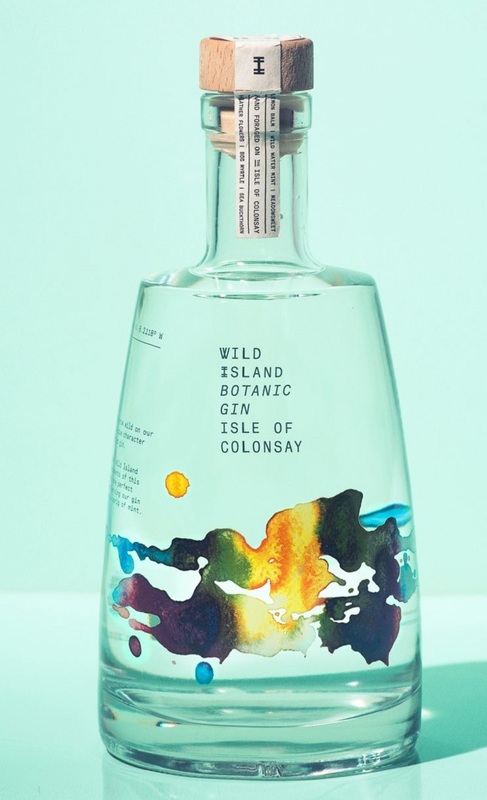 Wild Island has a logo that uses a decorative font with the word “Thirst.” However, that doesn’t work well on the design of their gin bottles, so they stick with a simple sans-serif font. They do add a splash of gold to reflect the logo and brand color palette, tying everything together. Once you have a general design in mind, brainstorm the elements you’d like to include on the packaging. What written copy is most important, and can you condense it any further? 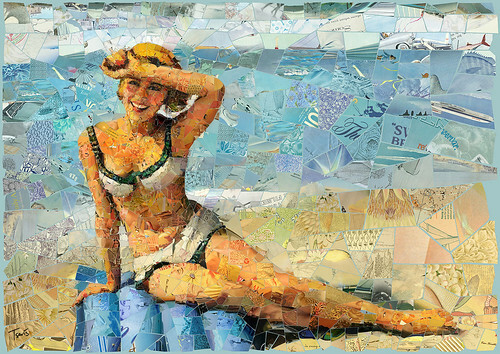 What images would you like to include, and how do they work with the other elements in the design? Don’t forget barcodes and trademarks and where they’ll go. It’s essential to balance needed information and get your message across with enough white space to give the consumers’ eyes a break and not create information overload. 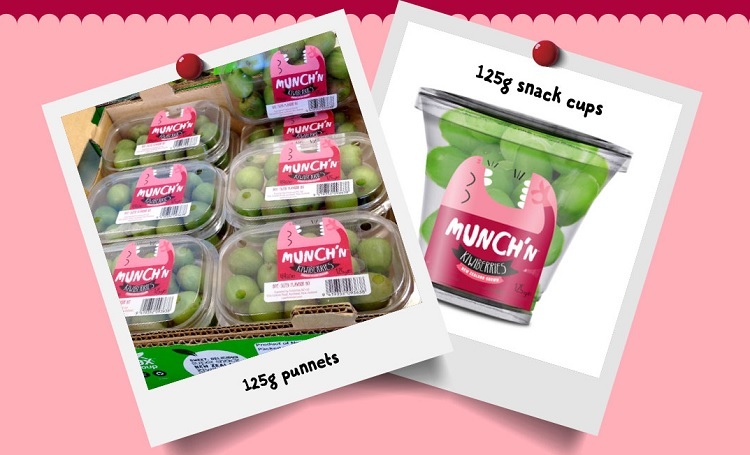 Munch’n uses negative space in its product package design to show off the actual product — kiwi berries. Their little logo of the munching cartoon character with an open mouth is the perfect addition to clear packaging that highlights their fruits. Most items you’ll design product packaging for have multiple layers. You’ll need the packaging for the actual product as well as an outside box that ships to the store or the buyer. Before designing, think through which layers your product needs and who sees the layer. How can you best highlight your brand with each type of buyer persona along the way? The way you highlight your brand with a store manager should differ from the way a consumer sees your brand. 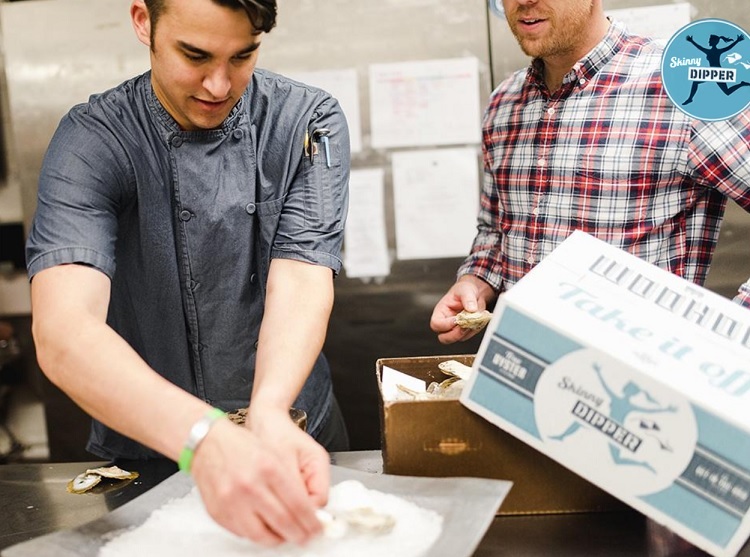 True Chesapeake oysters come inside a box that highlights their brand logo and features the colors of whichever line of products you purchase, such as light blue for the “Skinny Dippers” and green for their regular oysters. Once you’ve created your product, print samples with a regular or 3D printer. Use every part of your overall design so that you get a complete feel for how the design looks when everything is cut and put together. Make sure the images are clear and the text easy to read. 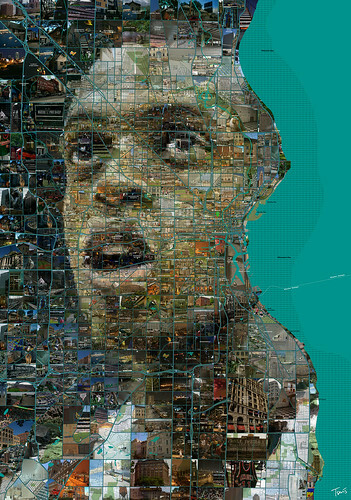 Is everything located where you want it to go? Make any needed adjustments and then print another prototype until your design is perfect in size and placement. 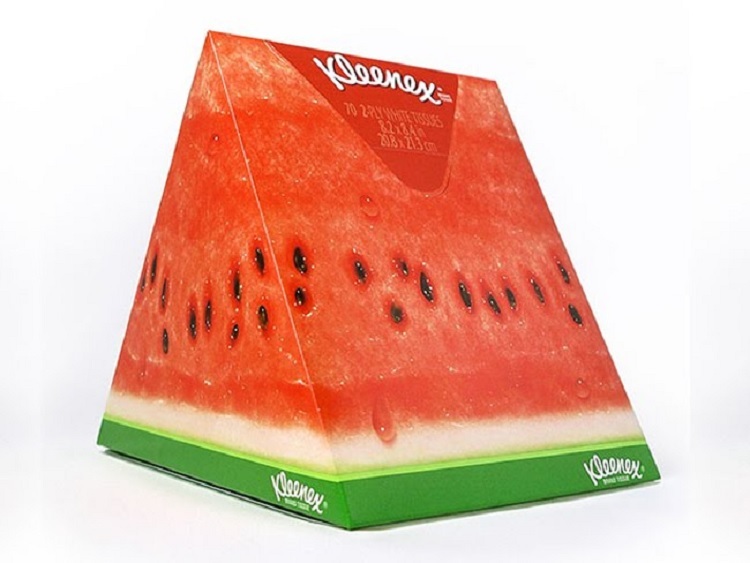 At one point, Kleenex designed a tissue box shaped like a slice of watermelon. Note the unique shape of the package and how the lettering and image had to line up perfectly. Any type of unusual packaging grabs attention but also requires prototypes to ensure it’s situated properly. Once you have a solid prototype, test your theory that it will work to draw interest. If you think a specific color will pop on store shelves, buy competitor products and line them up as they would appear in a store. Does your design pop or not? How does the product sit on the shelf? Is it stable, or does it tumble over? The last thing you want is an unsteady package that falls over every time someone looks at it. 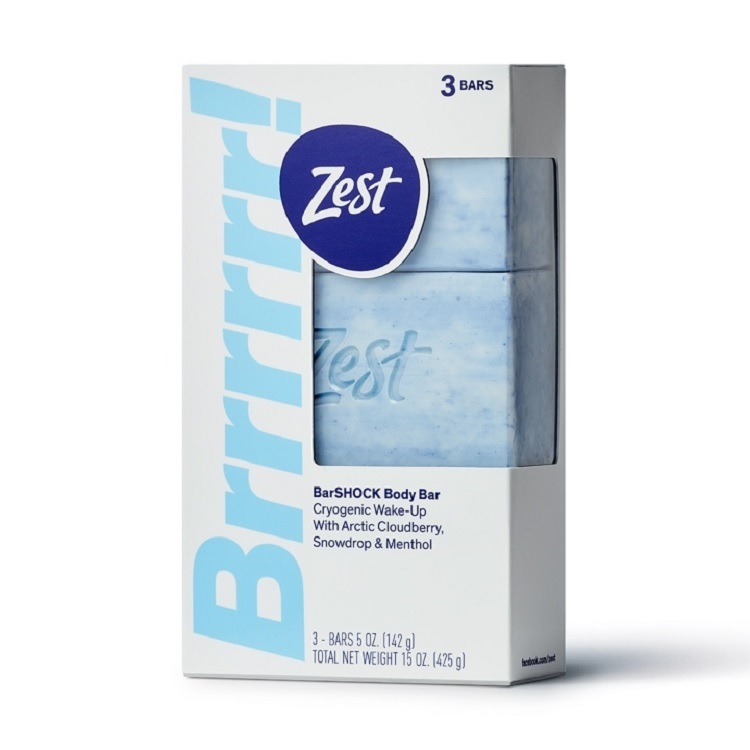 Zest uses a rectangular package design, which stacks either one in front of the other or one on top of the other on store shelves. The design provides a couple of different options for store managers displaying the product. The peek-a-boo cutout shows the actual soap, so users know exactly what they’re buying. Your next step in the process is gathering information — both for the client you’ve designed for and to make sure your package design truly does resonate with consumers. 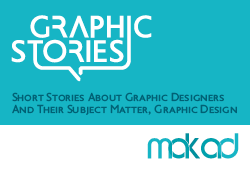 When you’re selling a specific design to a client, it’s best to go in with cold hard facts. Run a few control groups and see what the response to the package design is. Look at your competitor’s designs a second time. How does yours measure up? Is it better than their packaging? You should also consider the future growth of the company and how well the product packaging scales. 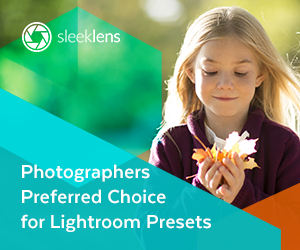 Show how the design adapts for future products in the same line by creating a few additional prototypes in different colors or with various images. 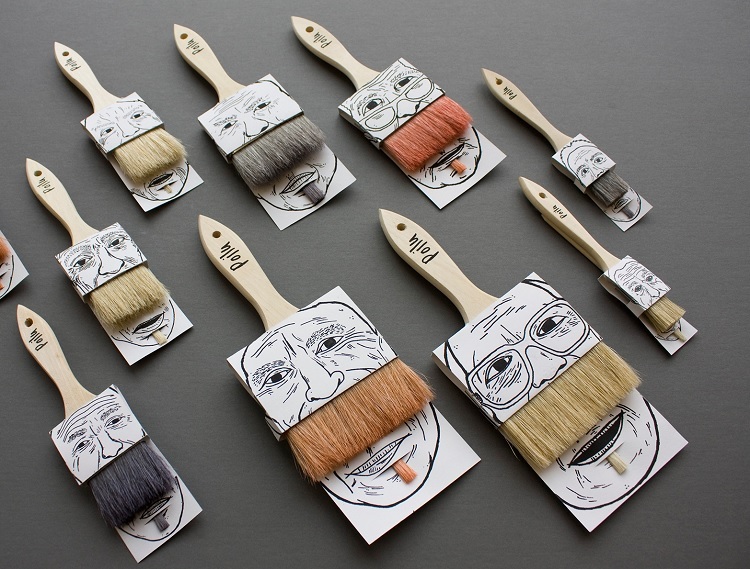 Poilu Paint Brushes adds a sense of humor to their package design with paintbrush packaging that makes the bristles of the paintbrush look like various mustaches. Once you’ve tested your design, looked at how it works on the shelves and considered how it can adapt in future, it’s time to actually print the design. Find out what file formats your printer prefers you to send the design in. 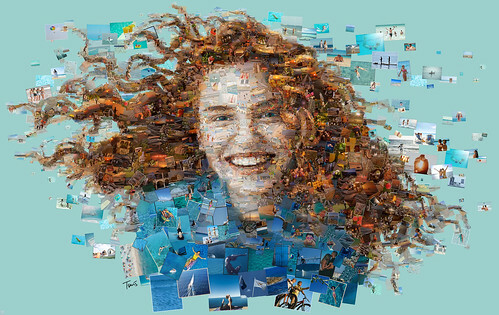 Make sure the resolution is sharp enough for a clear image on the final printed packages too. You should also ask for a proof before okaying a large print run of the final design. Double check all quality points, such as the thickness of any printed labels and the style of boxes and outer packaging. Put the product inside the packaging to make sure everything fits and it all looks the way you want. It’s cheaper to spend a little extra time making sure everything is perfect than printing thousands of packages that don’t work. 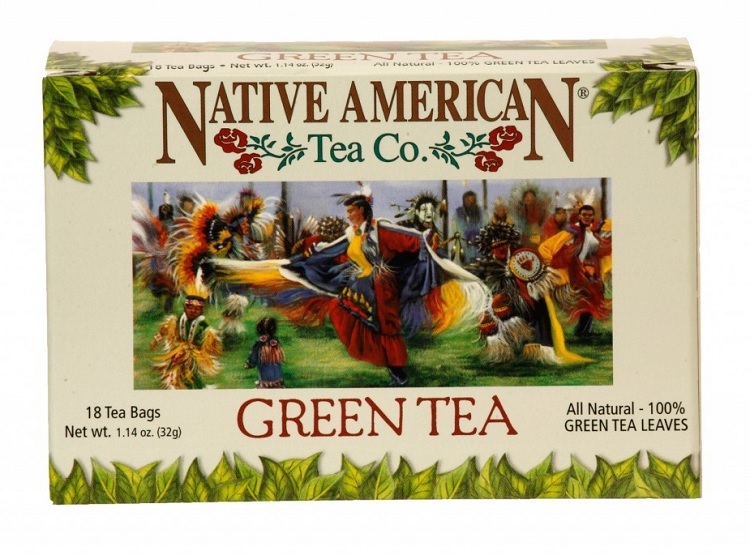 Native American Tea Company uses a beautiful Native American illustration on the outside of their main product packaging. On the inside, each individual tea bag has a paper wrapper with another image and the name of the tea company. Each element works together and creates an old world feel that gives an overall impression of the brand. Product packaging is so much more than a pretty box with a bow on it. It also takes into account the journey from the factory to the store to the consumer’s home. Bringing together the elements of color, layout, copy and functionality takes a lot of time and effort, but the result is a usable package that grabs consumer interest. 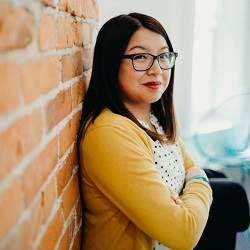 Lexie Lu is a UX content strategist and graphic designer. or follow her on Twitter @lexieludesigner.